BILLERICA, Mass.–Insulet Corporation, the developer of a tubeless insulin pump technology known as the Omnipod® Insulin Management System, broke ground last fall on a 26-acre site in Acton, Massachusetts, where it is building a new, state-of-the-art manufacturing facility. The new 350,000-square-foot facility represents a significant investment in Massachusetts and is expected to create hundreds of local jobs, the company said in a press release. It will also provide additional manufacturing capabilities closer to Insulet's large and growing U.S. customer base. The new U.S. manufacturing operation is also expected to drive operating efficiencies and increase productivity. Insulet said that it plans to begin production at this location in 2019. Insulet Corporation (http://insulet.com) is an innovative medical device company dedicated to making the lives of people with diabetes easier. 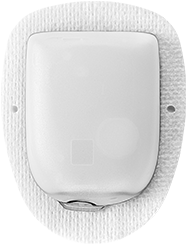 Insulet seeks to expand the use of insulin pump therapy with its Omnipod Insulin Management System among people with insulin-dependent diabetes. Massachusetts Governor, Charlie Baker, joined Insulet speakers Patrick Sullivan, chairman and chief executive officer, and Shacey Petrovic, president and chief operating officer, to celebrate the groundbreaking event. Other special guests included Travis McCready, chief executive officer of the Massachusetts Life Sciences Center, dignitaries from the Commonwealth of Massachusetts, and members of Insulet's loyal "Podder" community. "We are excited to see Insulet's continued growth in Massachusetts, including the manufacturing jobs and innovations that will come from this new Acton facility," said Governor Charlie Baker in a statement. "Insulet has called the Commonwealth home for nearly 20 years, investing in our communities, providing jobs, and developing technologies and products that better serve patients around the globe." "Investing in our state-of-the-art manufacturing facility allows us to increase our capacity to better support our Omnipod customers, create local jobs, and further strengthen our commitment to Massachusetts," said Insulet Chairman and CEO Patrick Sullivan, in a statement. "We are experiencing significant growth across our business, and this facility will help us achieve our long-term objectives. I am grateful to Governor Baker and his staff, as well as the Acton community, for supporting all of our efforts. We are committed to providing world-class service to our Podders and improving the lives of those living with diabetes." (www.myomnipod.com).